The competition is free to enter and open to all budding astro photographers and group entries are also welcome. The closing date for submission is 31st March 2019 with the winner announced May 1st. So get set up, snapping, stacking and processing! 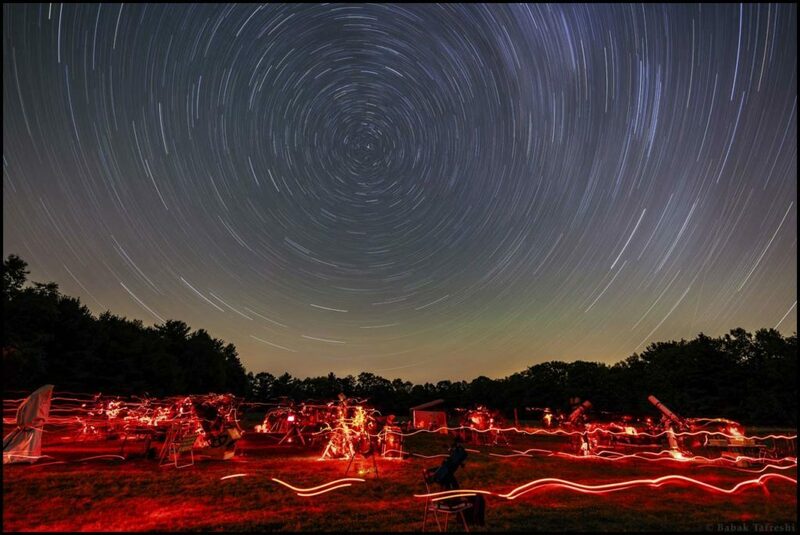 Photos can be of any Northern Hemisphere astro object. Participants can enter a maximum of 2 photos and the images must be new, taken specifically for the competition. I confirm that the submitted image was taken specifically for the purpose of this competition. The winner will be announced on the 1st May 2019. Full details, terms and conditions can be found here. And apologies for the short notice. 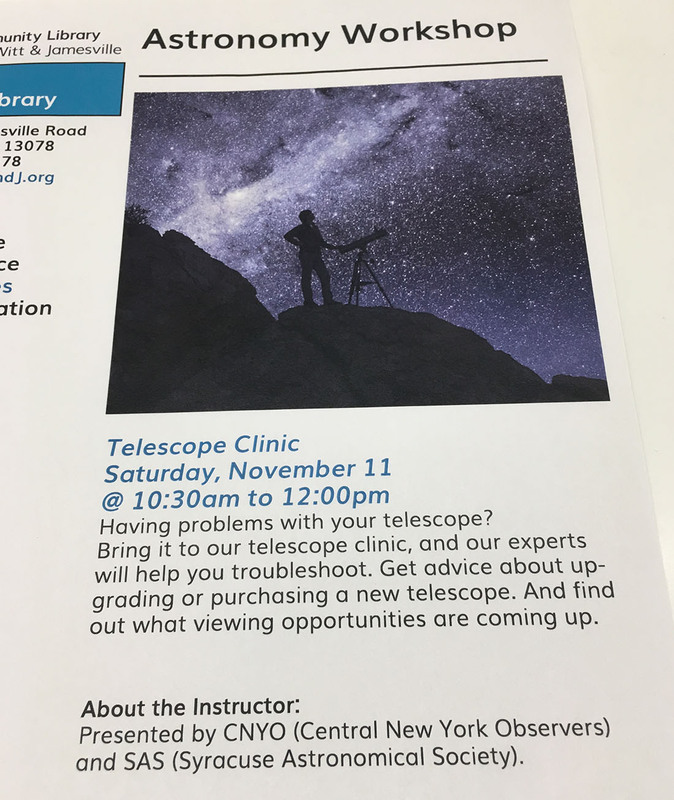 To the titles of “SAS treasurer” and “lecturer”, our own Dr. Dave Wormuth will be adding “lead clinician” to his local astronomy outreach profile at the Community Library of DeWitt & Jamesville tomorrow morning from 10:30 to noon (event page can be found HERE). Community Library of DeWitt & Jamesville google map. Click to make directions. Scope or no scope, these clinics can be very insightful. If you have a scope and still haven’t mastered it yet, such opportunities are perfect for some hands-on advanced topics when it’s bright enough to see what you’re doing! If you’ve barely picked off the pieces of styrofoam from your newly-acquired scope, this is your chance to save many hours of frustration – and to make some cellphone vids to remember how to set it back up when you get it home. And if you don’t yet own a scope and are thinking about making the dive into your first piece of optics, these clinics can be very useful for helping you decide what *not* to get. The event is free, for all ages, and open to the public (as all good library events are)!